Sadiq Khan has appointed Shirley Rodrigues to be the Deputy Mayor for Envrionment. She has previously worked in senior environmental policy roles, helping to implement the London Low Emission Zone and developing programmes to retrofit the capital’s buildings. 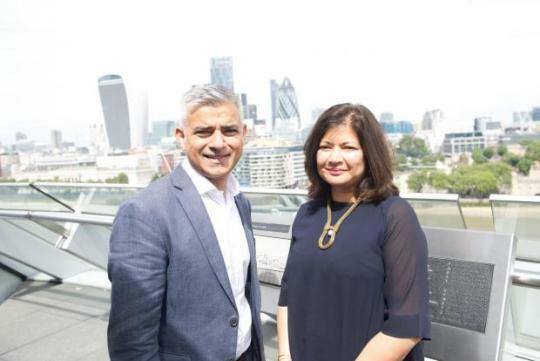 Ms Rodrigues has said that her priority is to make London one of the world’s most environmentally friendly cities, and is keen to tackle air pollution. Around 9,500 Londoners die from long term exposure to air pollution every year, and Sadiq Khan has said that tackling this is one of the biggest health emergencies facing the capital. Ms Rodrigues will be driving forward ambitious plans for a T-Charge for the most polluting vehicles, expanding the Ultra-Low Emission Zone and creating green bus zones. The Labour Mayor of London, Sadiq Khan, has confirmed his plans for Low Emission Bus Zones across London. These will identify the most polluted routes and prioritise them for the greenest buses in order to clean up our toxic air. From October 2017, this will see big improvements to the A23 route between Brixton and Streatham. This route will be served exclusively by hybrid or diesel buses with top of the range anti pollutant systems whoch meet or exceed European standards. Lambeth is one of the two first schemes to benefit from the new plans and it is expected to reduce NOx emissions by over 80%. See more information from the Brixton BID here. Between June and September last year, there was a public consultation about a proposed extension to the 315 bus to Peabody Hill. We expected to be able to share feedback from the consultation in January. However, as over 500 responses were received, it is taking TfL longer than usual to compile their report – the responses were very detailed and they are drafting responses to the long list of questions raised. We met with officers recently and discussed timelines for feedback. We expect to have both a Consultation Report and “Response to Issues Raised” by the end of February and will share them both here as soon as we receive them. We received a reply from TfL to our letter about the bus proposal. We sent a list of questions and concerns raised in the public meeting in March to TfL officers – their reply is highlighted in yellow. We have printed a copy of this and sent it in the post to every resident who attended and signed in at the public meeting. If you would like a paper copy and don’t receive one, please get in touch. Peabody bus update: We have had a reply from TfL to our email highlighting questions raised at the public meeting about a bus to the Peabody Hill. We will share any further responses. We hope that lots of you will be able to join us at 7.30 on Thursday 26th March to discuss proposals for a bus service to the Peabody Estate. The proposal comes out of many years of campaigning by residents on the estate and seeks to help connect up an isolated part of the ward with shops, transport links, places of work and local services. The meeting this week will be attended by your local councillors, the residents’ association, Val Shawcross, deputy chair of the London Assembly Transport Committee and Dania Fitzgerald, Head of Neighbourhoods at Peabody. This is not a formal consultation – this is scheduled to take place in June. Transport for London will be fully involved then. Until then, we hope the meeting will allow us to feedback community thoughts, comments or questions to TfL. We will be recording and feeding everything back to TfL so that residents’ ideas and concerns can be taken into account as TfL officers develop their detailed proposal. In the past, residents rarely have much opportunity to have input into proposals before the consultation begins, by which point the detailed plans have already been drawn up. We’re keen that residents are included much earlier in the process.